The ageing process of an organism is complex and depends on genetic, metabolic, hormonal, immunological and structural circumstances. Correspondingly, the illness of an elderly person can be determined, or at least strongly influenced by the physiological aging process, but also by intermittent noxae, i.e. diseases at younger ages, habits or exogenous toxic causes. As the exogenous noxae affecting an aging organism add to one another with age, it is a fundamental problem to differentiate between the physiological ageing process and intermittent diseases and noxae. In the following, we shall endeavour to discuss the changes in the aging heart without considering the influence of diseases and hazard. 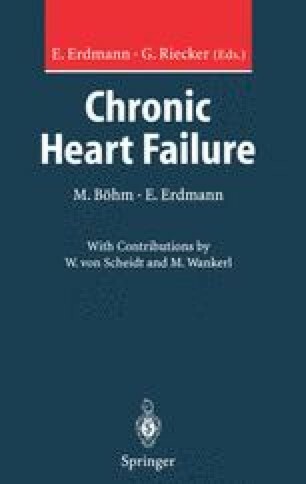 A problem is posed by the fact that changes in the so-called physiologically aged human heart can only be studied if there are clinically healthy control groups, i.e. without ailments, which can be compared with control groups of young persons. Correspondingly, it cannot be ruled out that the changes in the aging heart may be initial conditions of a disease, which may be due to environmental hazardous conditions. Experimental cardiogerontology has, therefore, often used animal experiments to characterize cellular changes in ageing. For this reason, it should be taken into account that the differences of the species studied as compared with humans can have great influence on the interpretation of the results.